There has been a lot of talk about the differences and similarities between categories and tags, and how to implement their use. I’d like to talk about the process of choosing categories for your posts. But first, let’s take a moment to examine what categories and tags are. In the simplest of terms, I think of categories as the table of contents for your blog, a kind of general outline that directs visitors to general topics that you blog about. Tags are more like the index page of a book, a list of key words people will use to search for specific terms. While everyone is debating about the pros and cons of categories and tags, remember that both serve one purpose: helping your readers find the information they need on your blog. If people can’t find what they are looking for, they will take their business elsewhere. Categories and tags are navigational and search-driven tools. Keep this in mind as you choose tags and/or categories: How will my categories and tags help my readers find the information they need. WordPress Themes, in general, automatically turn categories into tags. Tags can also be added through WordPress Plugins or manually. Tagging services find the “tag” relationship reference in WordPress blogs when their spiders and crawlers come through, after pinged notification of an update, and collect tag references in their database. For more information on how tag links work, see this article on tagging techniques and challenges. Categories are added at the time of writing the post and usually appear in the header or sidebar of most WordPress Themes, though they may be echoed in the footer. Readers gravitate towards categories long before hitting tag links to find the information they need. If using a tag WordPress Plugin, tags can be added on the Write Post panel of WordPress and controlled through an Options tab. WordPress and WordPress.com users can also add tags manually in a variety of ways such as from within links in the content or in a list at the end of a post. Tags are generally found within the post content area, post meta data section, or sidebar. They are most often found in a heat map or heat cloud with emphasis on the most popular tag words. When a visitor cannot find the information they need through category lists or searching, they will turn to the tags to hunt for the key word or phrase that may connect them with what they are searching for. As a reminder, if your tags are linked to Technorati and not your site, you have just encouraged your visitor to leave your site. Consider setting your tag links to search or tag results on your blog, not off. This article, however, is more about categories than tags. You choose your categories to classify posts within a topic collection. Your choose your tags based upon keywords and topics within your post content. Your categories and tags may be the same, or they may be not. With so much importance put on categories by WordPress, choosing your categories becomes a major decision. You can either use categories as tags and add a new category for every tag you need, creating a long list in your sidebar or elsewhere, or keep your category list short and add tags with another method. Most people add categories on the fly or list everything they want to talk about in their categories and then work to fill them up as they go. I made a plan for this blog’s articles and I wanted to keep the focus narrow and the structure clean. I believe working from a very specific plan helps keep a blog on track and more successful. Plans can change over time, but start your journey with a good map. I gave serious thought and consideration to the categories I would use. Examining the WordPress Theme I’d chosen, I immediately realized that my category list had limits. As a long time web designer and developer, I noticed the area hosting the category list was very small. In fact, confining. A short list would look better than a long list. Small words would work better than long phrase wrapping onto a second or third line, looking tortured in the confined space. Unable to edit the Theme with WordPress.com’s limitations, and having only a few Theme choices at the time, I decided that short and sweet categories would be the best way to go. I felt that starting out with a big list was setting myself up for failure. What if I couldn’t come up with more than one or two posts in each category? I’d have this long list of categories with a (0) or (2) next to it, reminding me that I’m lacking in some areas. A constant visual nag. I wanted to stay focused on my topics, not scattered, so beginning with a few categories kept me on track. I knew my topic on this blog would be WordPress, so choosing two categories dedicated to WordPress topics was easy. WordPress Tips and WordPress News were self-explanatory and worked well as tags, too. I knew I wanted to talk about blogging, but I wasn’t so sure about how much would be blogging tips, advice on writing blogs, blogging and SEO issues, about other bloggers, and blogging info in general. 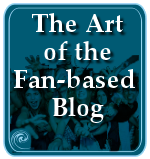 So I decided to call it the very non-tag-friendly name of Blog Babble. The fourth category took me even longer to debate over. I asked many people for advice. 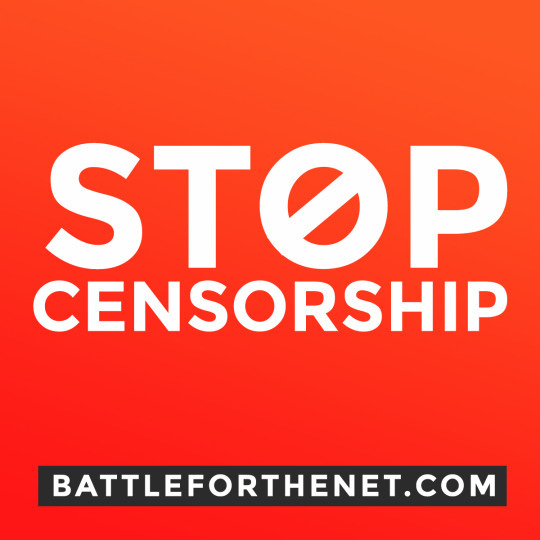 This would be my catch-all for Internet topics, tips, and pointers, web design, web standards, accessibility, and all kinds of information web users should know about when browsing and participating on the web. Eventually it became Web Wise. Now that I’ve had eight months of content to fill this blog, my four categories had become overwhelmed. It was time to take a look at what articles I’ve produced and how they should be categorized to help users find the information and resources they need. Immediately after I added my new categories, WordPress.com announced a new tag page for people to browse WordPress.com blogs based upon tags, but only tags created with categories. This makes things a little more interesting and gives me even more to think about when considering my new categories. Which subjects are generating the most comments and trackbacks? I believe you can learn a lot from examining your tags, search engine keywords, and site statistics to get a really good feel for what subjects you are writing about, and what is attracting the most attention from visitors. From this information, you can determine the categorizes to use to direct the visitor to the information they need. I kept track of the search engine referrals by examining the blog statistics from the WordPress.com Dashboard panel. Towards the bottom of the panel is a list of the Search Engine Terms, keywords that brought visitors to your blog from search engine search results. If the same words appear over and over again from search engine referrals, and you have the content which provides information related to those keywords, then consider turning those keywords into categories. I looked at the list of the most popular posts in my blog statistics to see what topics were bringing people in the most. I also looked through the tag list I manually created for myself listed at the bottom of each post. I picked out the most popular tag choices and added them to my list as a potential category. I looked for posts with the highest number of comments and trackbacks. If people are talking on these posts, and others are linking to these posts from their blogs, then the topic is of interest to others and may deserve its own category. I made a list as I went, ticking off repeated topics as I found them. As I went through my statistics, posts, and tag list, I found myself putting a lot of tick marks next to “Writing”. Not just blog writing, but all kind of writing techniques. These were getting a lot of attention as well as a lot of comments. People really want to learn how to write better since writing is the most important part of blogging and life on the Internet today. I hadn’t realized that I’d written so much about writing and that it would be so popular. I assumed that the more popular posts would be WordPress technical techniques, not “how to write good”. Going with what the statistics were telling me, I needed a Writing category to segregate posts about writing skills and techniques. I found a lot of posts I’d written about WordPress Themes, Theme development and design, CSS, styles and stylesheets, web standards, web accessibility issues, and web page design in general. I’ve been writing about web design and development for many years on my main site, and wanted these articles to remain there. Yet, while putting this blog together, I kept feeling like these articles “belonged” on this blog instead of there. So I brought some of the articles from that site over here, updated and republished them, and added even more over time, creating a solid body of work related to web page design. These went into the Web Wise category, as there were only a few articles at first. Ad I shared more of my expertise on web design and development, and as more people discovered how easy it is to design your own WordPress Theme on the full version of WordPress, these articles attracted a lot of attention. 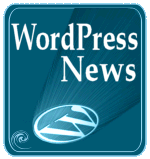 As WordPress.com grew more popular, more and more WordPress.com bloggers were unhappy with the limits and restrictions of Themes not fully complete or fleshed out. Some of these articles became a voice for them, helping WordPress Theme designers understand how helpless WordPress.com bloggers feel, and encouraging designers to fill in all the missing details on their Themes. After a lot of consideration, I decided to include a category called Web Design culled from the Web Wise category. Choosing the name for this new category wasn’t easy. After the jazzy feel of “Blog Babble” and “Web Wise”, going for “Web Design” was boring. I went through a lot of name choices over this category including Web Development, Web Standards Design, WordPress Theme Design, Design, Designing Web Pages, Design Elements, and Dictating Designs. In the end, I decided to leave non-tag-friendly category names behind and stick with Web Design, a totally tag-friendly name. It is simple and to the point. But it wasn’t enough. A lot of the articles were specifically related to WordPress Themes as well as web design in general. Once I had categorized all my Web Design posts, I realized that there was a huge group that needed its own category, maybe even a subcategory of Web Design. So I decided to add another main category for WordPress Themes to classify Theme design articles from general web design articles. There are many other categories I could have added. I write a lot about comment spam, but do I want a category about comment spam? Maybe in the future, but for now, no. I also write a lot about tags and categories, like this article. Do I have enough articles on these topics to make a category? What would I call it? “Tags and Categories”? I also write a lot about search engines and search engine optimization (SEO), but for now, I’m happy with these categories. In time I’ll revisit this issue again and go through the process of exploring what I’ve written and what people are looking for and expand or reduce my categories as necessary. Now that I’m using a WordPress Theme that permits a little more room for categories, I can add more categories without guilt of spoiling the layout or look. The battle between pretty and practical in web page design will always play tug-o-war in my head. Let’s look at this list from the angle of not just being categories, but also tags. If I didn’t use my manually added tags at the bottom of each post, then the only tags from this site that would be reaching the tag services would be coming from my category list. Do they hold up as tags? Clearly, Blog Babble and Web Wise do not. These are not key words or phrases people will use to search for information. Still, “blog” and “web” are keywords used constantly, so I will pick up some tag references there. While I still wanted to have something more fun than “Web Design”, it is a solid tag reference, picking up “web” and “design”, which are commonly used in search terms like web page design, design web pages, page design, and so on. Good tag coverage there. “Writing” is a great tag word because it will potentially expand my audience to include people interested in writing, but not necessarily blogging. If I convert a few to blogging, all the better for it. I did battle, however, with “WordPress Themes”. My articles aren’t “about” WordPress Themes, but about the process of creating a WordPress Theme. I don’t write about specific WordPress Themes, nor provide a list of WordPress Themes, or even review them or make specific recommendations. I write about how to create, develop, fix, and repair WordPress Themes. Therefore, the correct category name should be “WordPress Theming”, “Theme Development”, or “Building WordPress Themes”, or something like that. Unfortunately, these don’t make good tags. Why? Well, if you are looking for information on how to work on a WordPress Theme, are you going to type “theming” into the search form? And if you do, how will you spell it? I’ve seen it spelled at “theming” and “themeing”. You would use words like wordpress, themes, theme building, building themes, making themes, creating themes, fixing themes, developing themes…never “theming”. So I live with the risk that people will think this is a WordPress Theme list. I thought about adding another word, but that old battle between pretty and practical struck again. And as it stands, “WordPress Themes” is a long phrase in this particular Theme design, so it is the only one in the sidebar, on my wide screen monitor, that wraps around onto a second line, creating a gap in the vertical line of bullets. See how picky I am when it comes to web page design! This little line wrapped category annoys me. It isn’t just about helping the readers find related content on my blog, it’s about the design details, too. Think about how people use categories on your blog. If I visit a blog and see a category about WordPress, my expectation is that they have written several articles about using WordPress to share with WordPress fans. If I click on it and find only one post, and that post is dated December 2004, it makes me wonder. I’d like to think I’m an average blogger, so I expect others wonder, too, when they stumble across something similar. What do we wonder? Did they include the WordPress category on their blog with the hope that their enthusiasm for WordPress would generate a lot of posts? Or are they using categories as tags and haven’t used that tag again because they haven’t written anything else about WordPress? I also wonder about their “expertise”. If they are an expert in Computer Games, then why is there only one post in that category. Does that change the way you view the post in that category if it is standing alone or with a few friends? Maybe category counts are like resumes, letting the reader know if you have enough expertise about a subject to talk about it. By having only a couple posts in a category, what information are you giving to the reader who has just discovered your blog? Most of all, I think, “what a waste of time.” I’m always looking for good tips, techniques, and information about WordPress, so when I see a WordPress category, hope rises that I might find some jewel to share with my readers. Visiting 15 WordPress categories on 15 blogs and finding one to three posts in each, all dated six months or more ago, I get a little weary and wonder why these people even bother to list this as a category. Sure, if they are using categories as tags, then this is justification. But categories mean more to me. To me, they are collections of related content. Make sure the category you choose will have posts to fill the space. 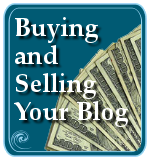 One or two posts a year, or even a month, in a category may not justify a category on your blog. Even if you use categories as tags, make sure you tag more than one post so visitors clicking a tag will find more than one post on that tag subject. If you are just starting out, make your post content plan include filling up your categories with posts so they are not alone in there. Only you can decide how many posts in a category justifies the existence of a category on your blog. If you list an empty category with the intention of filling it up, and then you don’t, delete it. Move the few posts in that category to another category and remove the category. 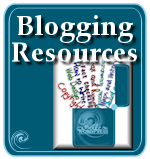 Think about how you use tags and categories when you go blog hopping. What you think when you click on a blog’s category or tag and find one orphan post sitting alone with spider webs on it. Your readers might think the same thing about your blog categories and tags. Once I decided upon my new categories, I needed to sort the posts into their appropriate categories. 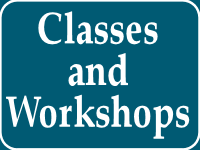 The process of adding new categories in WordPress is not complicated, just time consuming. You can start adding your posts from today forward in the new categories, but it may leave out a lot of posts that won’t be found because they aren’t in the “right” category. Begin by typing in the new category topic keyword(s) in the Manage > Posts panel search. Go through each of these posts and if they are appropriate to your new categories, click EDIT and check of the new category, uncheck the old, if appropriate, and click SAVE. You will be returned to your original search page so you can continue on to the next post. If you click SAVE AND CONTINUE EDITING instead of SAVE, when you finally click SAVE you will be returned either to the main Manage panel or the Write Post panel. You will need to return to the Manage > Posts panel and begin your search again. Continue on until you have applied the new categories to the appropriate posts. NOTE: If you are using the full version of WordPress, do not assume you can come up with a method of adding categories quickly through the PHPMyAdmin in the database. I’ve tried it and it can be done, but it is messy and the process takes up much more time to do, and fix once you screw up, than it does to just poke the Edit button. There was a WordPress Plugin called Batch Categories that was awesome for rearranging posts within categories, but it no longer works for new versions of WordPress and it can mess up your database. Been there, done that, hardly survived. You are warned. Some posts were easy to move into their new category. They screamed “web design” or “writing”. Others took more time and thought. My article called “Who The Hell Are You” was in WordPress Tips and reminded you to create an “About” Page on your blog. Creating an About Page is also about web design because it may impact the layout of your Page links. So it fit into both categories. Articles like If I Had Ads Here Would You Click Them and The Problems with Tags and Tagging appear to fit under Web Design, but they aren’t about the design as much as they are about implementation and administration. This information is part of being Web Wise, but it is also a tip for WordPress users, yet they influence web page designs. Argh! Where to put them? I chose to put them in both the Web Wise and Web Design categories for lack of a better choice. The process of tagging 500 posts actually took much less time than I thought. It would have taken less time but I stopped to fix a few boo boos along the way, and straighten out some content layout issues in the older posts so they match the newer styles. It took about 1 1/2 hours, including fixing time. There were a few side effects from this process. These may or may not happen for your WordPress blog. First, any full links to posts on my site, my intrasite links, reproduced trackbacks when saved. My Manage > Comments panel was filled with new trackback comments. If you use relative links and not absolute links, this will not happen. My fear was that I would have duplicate copies of trackbacks but WordPress seems to have detected these as duplicates and they do not appear on the posts, at least the ones I’ve checked. If you find duplicate intrasite trackbacks, please let me know. The sad part was that WordPress.com only allows you to see the most recent 20 comments. There is no “previous or next comments” link to view any comments you receive past 20. I had not responded to several comments that appeared during this process, though I had seen them. All those intrasite trackbacks pushed the comments off the screen and I had to delete the trackbacks in order to pull up the “real” comments and respond. I’ve brought this up with the developers and hopefully this issue will be resolved so we can see beyond 20 comments. The second issue was the loss of styles. This applies only to WordPress.com blogs. In the early days of WordPress.com, we were allowed to use inline styles within the post content area. These are now stripped automatically. My oldest posts are “grandfathered” and maintain their inline styles because the style stripping process happens when you save a post, not when it is generated. As long as I do not edit these posts, even to add a category, they will retain their inline styles. An example of this once joyous ability can be seen in the article, Choosing a WordPress Theme. You will notice that none of the new categories are attached to the post. 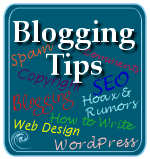 It is under WordPress Tips and it will remain there. Aren’t those lovely pull-quote boxes wonderful! Can’t do that in WordPress.com any more. Sigh. Lastly, if you are only working with 50 or so posts, it’s easy to see all your posts. If you have more, you can easily miss sorting some posts. Because WordPress only allows searches or sorting by month on the Manage > Posts panel, after you feel you’ve covered most of your posts, sort them by month and go down the list to see if there are any you missed. I do hope WordPress developers will listen to my pleas for more than a year to add a sort by category option in the Manage panel. Work was complete on this last year, but I never saw it come out in the beta test versions. This is such an important feature, especially if you want to use WordPress like a CMS. More sighs. You can make the process of choosing your categories on your blog complicated or easy. You can use categories as tags, or use them as categories that happen to be tags. Its up to you. Pick one method and stick with it, and then change it when you need to. To review, here are the step-by-step techniques I used to build my category lists. This entry was written by Lorelle VanFossen and posted on March 7, 2006 at 9:24 am and filed under Blog Babble, Blogging, Web Design, Web Wise, WordPress, WordPress Themes, WordPress Tips with tags how to use wordpress, site customization, Web Design, wordpress, wordpress design, wordpress help, WordPress Themes, WordPress Tips, wordpress tutorials. Bookmark the permalink. Follow any comments here with the RSS feed for this post. Post a comment or leave a trackback: Trackback URL. The worst part about tags (or any other plugin that seemingly everybody else has no problem running) is when they don’t run for me lol. Just wanted to say what an excellent post this is. I find it weird there’s only one comment so far. I don’t use tags myself, but I wouldn’t use them as categories. It’s just a different state of mind to me. Please don’t fall into the blogging world myth that the quality of the content has anything to do with the number of comments. I have many posts that get very, very high traffic that have few or no comments. And some posts with dozens of comments that were one day wonders. I like what you said, and I agree. The difference between tags and categories, while people want to make them one thing, is a different state of mind. Good description. I have a question for you regarding Categories. When I read this post I decided to redo my categories. I erased the old ones and added the new ones. Now I have to go through all my posts and recategorize them one by one, or do I? Is there a way to add one or more categories to a more than one post at one time? In other words, batch categorize. There “was” a Plugin that allowed you to batch reorganize categories. IT IS BROKEN and will not work with new versions of WordPress. I haven’t found anything to replace it, so do not use it if you find it. It was called “Batch Categories Plugin”. You have to go through your posts and recategorize them. If you “erased” your categories, all of them will be in “uncategorized” or whatever your “root” category was/is. They will no longer be categorized. I watched a movie and recategorized all my 500 or so posts at the same time. It didn’t take long and it gave me a chance to fix a few problems as I went along. Just dig in until someone comes up with a new batch sorting category plugin. I was afraid of that. Thats perfectly fine with me. I think I need to go through all my posts anyway. I have learned a lot since I first started blogging. Thanks for the response. I guess I’ll watch Anchor Man while I do this. 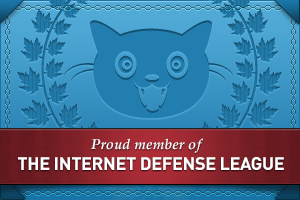 I just wrote about this topic, and yours and Eric’s (at Internet Duct Tape) posts about it. I don’t think there’s any one “right” answer; it depends on the blog and what you’re trying to do. BTW, you’re right about the comments – from checking my stats and what others have found, it seems that typically there’s only 1-2% of readers who actually join the conversation! Wow. I want to say thanks for writing. I will definitely be spending a lot of time on your site in the near future. I just recently got into tagging and appreciate your thoughts on the differences between them and categories. Nice post. It helps to understand hot to manage and choose categories. In wordpress therz lots of option includes as u asked that therz option to convert category to tags but how to undo this option as even i clicked once on that link after that i was nt able to find another option convert tags to category or undo this option if you can tell plz describe. Once the process of converting tags to categories is done, it’s done. I’m not sure what you need to do now, but there are probably Plugins that will convert categories back to tags, but I’m not aware of one. This isn’t some spam! I read your article on Categories and it really helped me. I have a friend who is also starting a blog and I wanted to mail her a link. Now, I know I cut copy the URL from the browser, then go to to my e-mail program and paste it, etc. But did I miss where you have a way to share by e-mail? The only mail icon I could find was to subscribe via e-mail. Pardon me if it’s here and I just missed it . . . If you aren’t spam, you usually shouldn’t start a comment accordingly. And the site in your link is definitely spammy, so who can you trust anymore. On the possibility that you are trustworthy, restricting comments to appropriate topics not tangents, there are many ways to share by email. You have to be clear on what specific method you are looking for. There are browser bookmarklets and toolbars that will forward web page links to your email account, and there are ways of creating links and using various services, without and with WordPress Plugins that offer an “email this” link on a blog post. I don’t offer that option as it is rarely needed and tends to add clutter, and many use browser options and tools to handle such needs. For WordPress Plugins, search the WordPress Plugin Directory for “email this” or “email post” for options. Googled Tags vs Categories and you were first on the list and as I was reading Im still having problems deciding what I should use as Tags and Categories. I’m a small business consultant specializing in marketing and strategy, so my marketing can have sub categories like digital media marketing, marketing plan, etc. My niche market, however, is restaurants/bars, beauty salons, and real estate. But those can have sub categories as well like- sit down, fast food,etc. What do you suggest? I apologize if I didnt make enough small talk or compliment you on your great work, is it rude just to go and ask questions without all that formality? I suggest you finish reading the article and the comments herein as they answer the question. You can have categories and sub-categories as you please, or delve into custom taxonomies as it looks like you are working with directory style content.